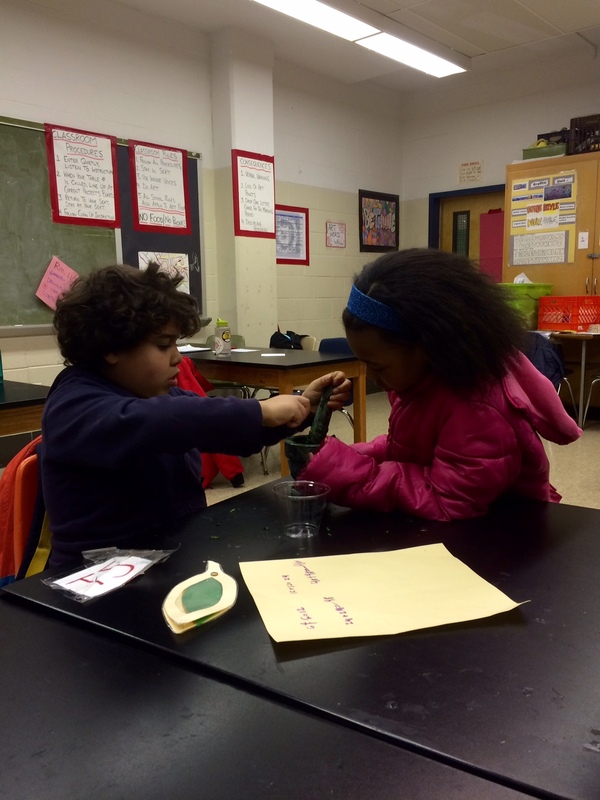 In February of 2017 the Schuylkill Center entered a partnership with ESCC, or the Extended School Day Center. A vital program in Norristown, Pennsylvania that provides before-care and after-care for the youth in eight elementary schools in Norristown. Our partnership allows education staff to work with two of these schools to enrich their education while providing mentorship to students. 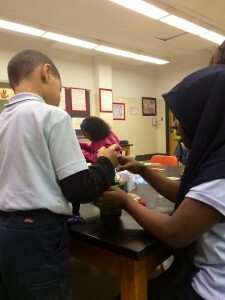 This Norristown mentorship program is something that is very near and dear to my heart. 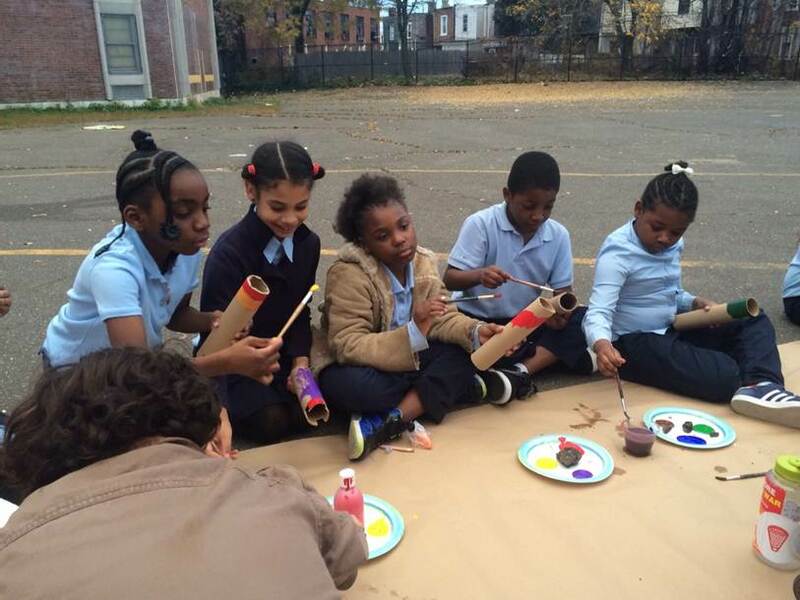 Not only is it one of the largest and most ambitious outreaches we have done, but the program brings environmental education to an underserved community and reaches a very diverse audience, especially Hispanic and African American students. In essence, the program is simple: during the school year we go twice a week to Hancock Elementary and Marshall Street Elementary in Norristown, after school as part of the community’s extended school day program. That program, offers themed crafts and games as well as homework help to improve academic performance. The program is arranged so that students can participate when they want to, choosing to join in. We didn’t want to take these young students away from precious game playing or lego building (this kind of play can be just as vital to their development as formal education is). 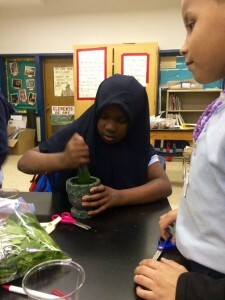 Last year, every day more students chose to join us for environmental education activities. What the Schuylkill Center brings to the table is hands-on environmental education. Gone are the days when an environmental educator would sit kids down for an hour and lecture to them about recycling, or why it’s important to know about local wildlife, especially when they have sat in a classroom for the past seven hours. It would be extremely boring for them, and boring leads to uninterested, and uninterested leads to not caring. And not caring for the natural world is a vital misstep in their development. Instead, we bring activities that have the kids touching, tasting, hearing, and smelling. One of our most popular programs was our “trash bash,” which teaches the importance of the three “Rs”: Reduce, Reuse, and Recycle. Games and relay races to sort trash lets the kids problem solve and burn off excess energy. It’s a fun and interactive way for them to get involved. The best aspect of the activity is that there truly is no “wrong” answer during these relay races. If one of them places the newspaper in the “trash” bin, they are not wrong. A trash can is much better than littering. But is it the best spot for it? Usually I don’t even get a chance to correct them – the other kids will jump in and help out. It’s not a race when everyone is against everyone else. They are a team, and in that team setting, kids thrive! Then we break out our worm bin. Students dig through the soil to find worms and answer their own questions through exploring what they find. And they get dirty in the process. But the most important part of the program is mentorship. Mentorship is something that comes with time. That type of relationship is built on trust and familiarity. The presence of our educators each and every week will spark a bond that creates an interest in the environmental world. I want to nurture that bond. One nine year old is a special case for me. I was told he had behavioral problems. He would not listen to instructions, he was disengaged, and did not like to take part in structured activity. I decided that education for him could wait. I just wanted to talk to him and get to know him. My first conversations with him were very short and simple. “Hey! Is that a Batman backpack? I love Batman. That’s so cool. I’ll see you later.” I had many small-talk conversations with him like that. Then one day, he asked me a question about what was in my box of education materials. I knew right then that I had him hooked. He became a superstar for the program. He’d help hand out materials, clean up after crafting, and wanted to participate each and every week. On a rainy afternoon we read a story titled Around the Woods, Who’s Been Here – a story that tells the tale of siblings and their exploration of a forest near their home. He made us read it to him three times. Then he proceeded to read it a fourth time to younger kids. That’s the magic of mentorship. He once told me “Mr. Damien, you’re my second favorite! You used to be my favorite, but not anymore.” I asked “Oh? Why did I get bumped from my top spot?” He simply replied “I like Mr. Jamie’s beard more. So he’s my favorite.” I can’t argue with that (Jamie is one of our vital educators here at the Schuylkill Center, and has a beard straight out of Norse Mythology). And I’ll gladly take my silver medal from a kid that didn’t want anything to do with me just two months prior. That is what the mentorship program does for them; it gets them engaged on a personal level. If I can get one of them to think “I want to do that when I grow up”, get one of them to enter into an environmental field, or even just make the natural world a forethought rather than an afterthought, I will consider this program a success. I’m looking forward to the new school year, when – thanks to support from ArcelorMittal – we’ll be back in these Norristown schools twice a week, sparking curiosity and fostering future environmental leaders — while making a few new friends along the way. An excerpt of this post was published in our fall 2017 issue of The Quill, our quarterly newsletter. 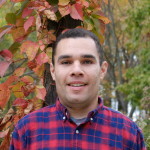 Damien Ruffner is the Manager of School Programs. 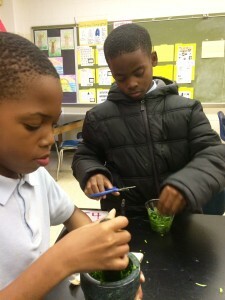 His goal is to expand our programming to communities and schools that have little access to nature with an extra focus on the Philadelphia and Norristown school districts. He is a loyal and proud Hufflepuff! Damien’s favorite part about working in environmental education is helping folks reach the “AH HA!” moment. This entry was posted in Children Need Nature, Education. Bookmark the permalink.